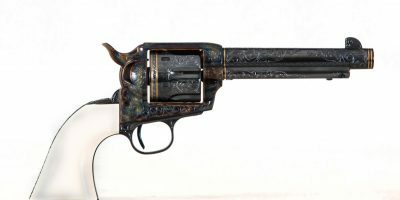 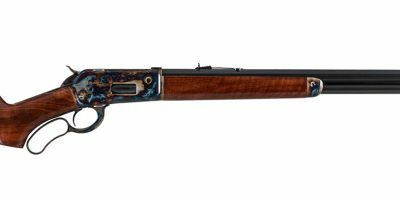 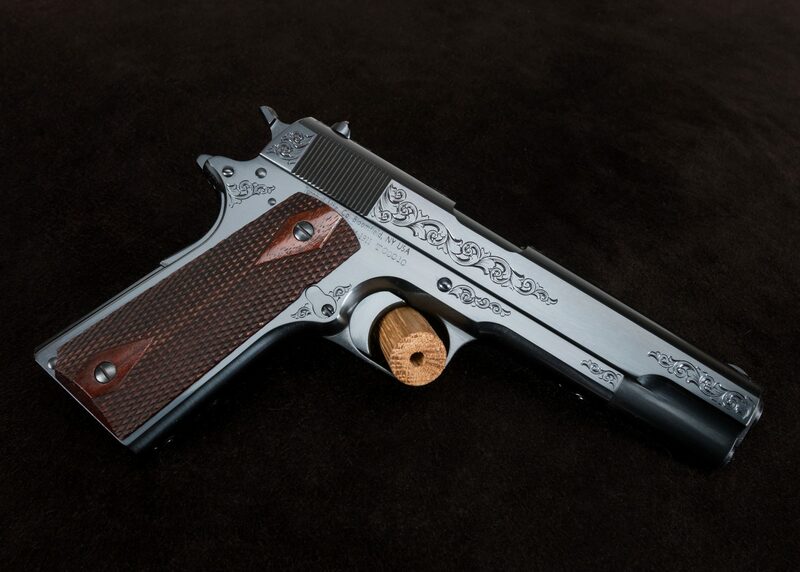 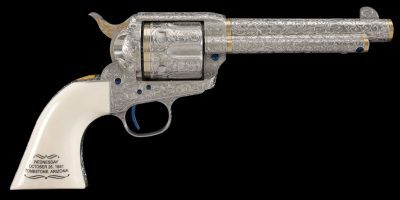 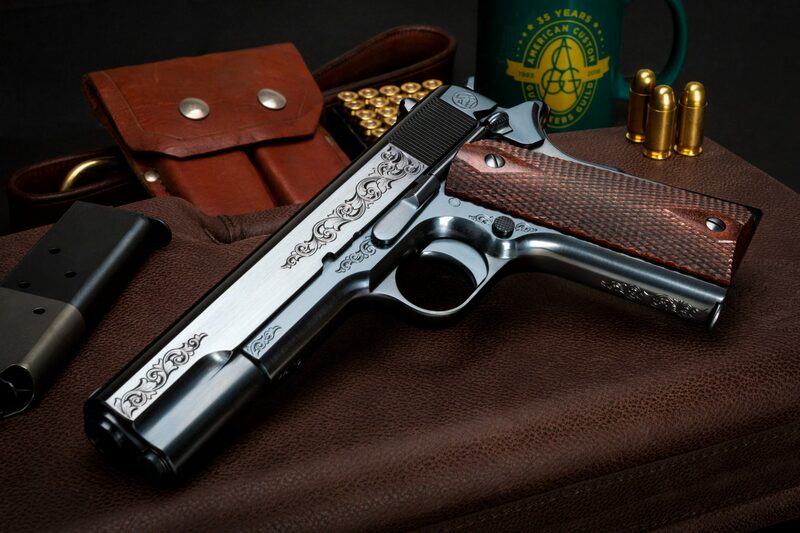 This Turnbull Restoration Model 1911 is adorned with classic American scroll ornaments. 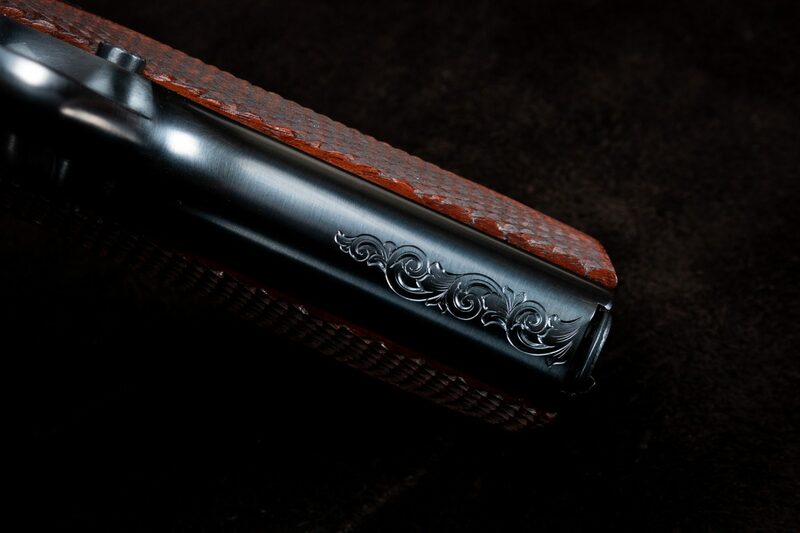 With splashes of elegant scroll work on the tops and sides of the slide, along with select areas of the frame, the engraving enhances the clean lines of the 1911 pistol without obscuring them. 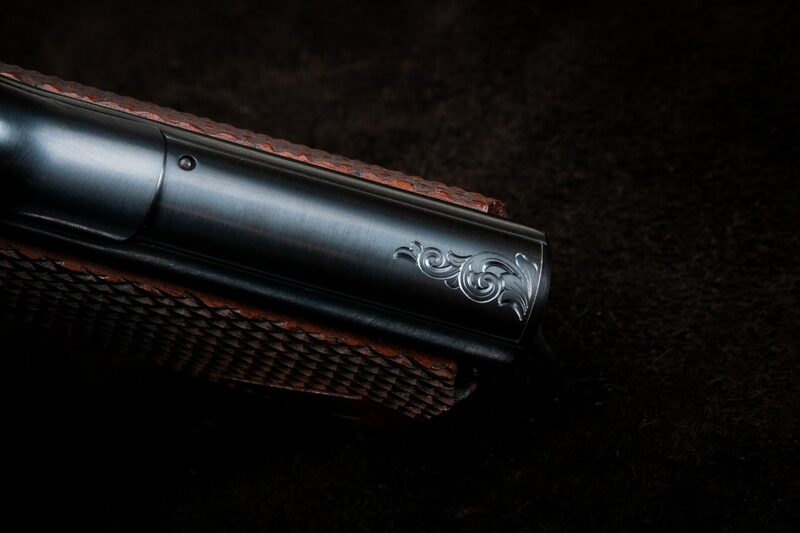 This provides a subtle decorative touch under our classic charcoal blue finish. 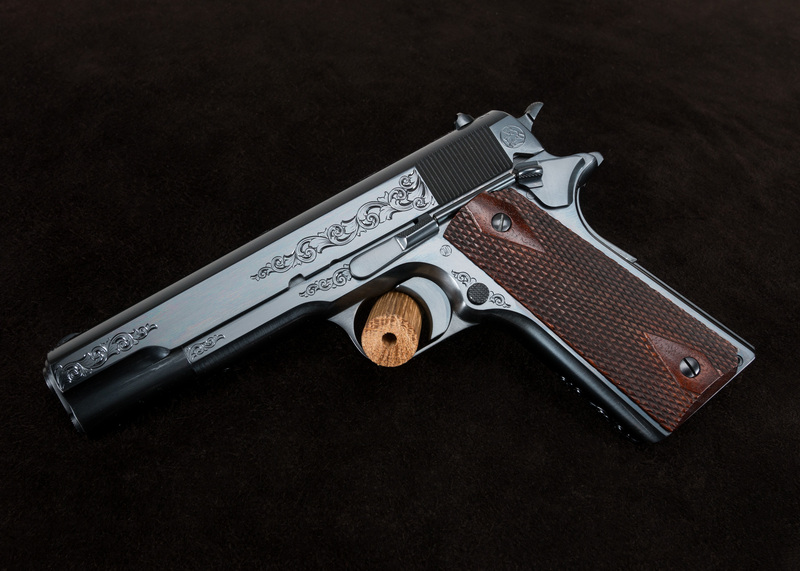 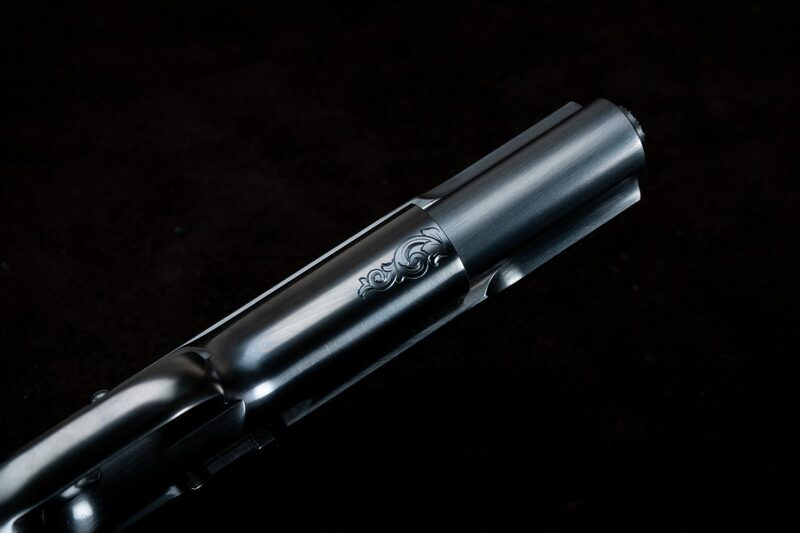 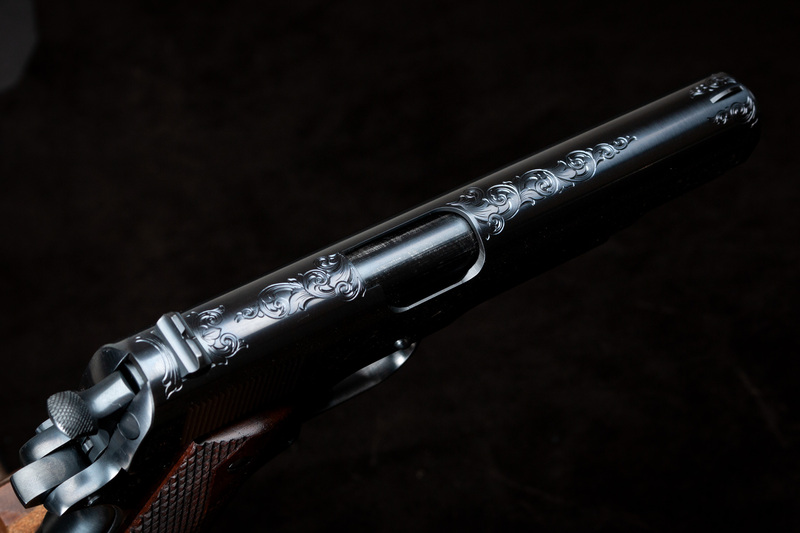 This style of hand engraving is cleanly cut with fine line shading, and provides the discerning collector a way to set his or her 1911 apart from the crowd.